The first time John Dyer distilled his own alcohol was after a hunting trip to northern Michigan with a couple of buddies and his dog, a German wirehaired pointer named Ruger. His friend bet him he couldn’t make his own whiskey — and lost. Dyer said that at the time he had no idea he would turn to craft distilling as a business. But that changed with a 2008 revision to Michigan law that eased the barriers to entry for artisan spirit producers. 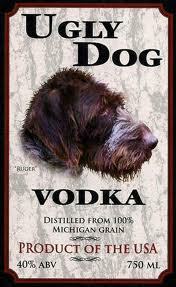 Since then, there has been a proliferation of microdistilleries, including Dyer’s Chelsea-based Ugly Dog Vodka LLC. Twenty-six microdistillers have opened in the state since the law change. The law lowered the price of a microdistiller’s license from $10,000 to $150, and it was rewritten to include non-fruit-based alcohol. It also allows microdistillers to sell products on location without a Class C liquor license.